TechPlay ODC21MKI-SL is a fully featured belt drive turntable. 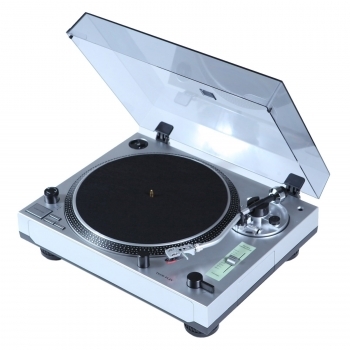 Choose 33 or 45 RPM speeds, ALUMINIUM DIECAST PLATTER with slip matt, +/-10% PITCH CONTROL, professional S shaped arm, auto return, strobe dots, POWER SWITCH / STROBE, anti-skate knob, lift lever. Shock resistance legs, stops vibrations before it can effect your music.